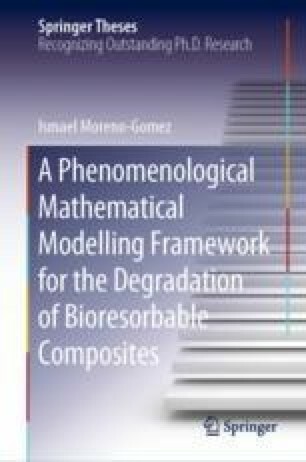 This chapter briefly discusses relevant literature on the degradation mechanisms of bioresorbable composites and the computational models developed to characterise them. As mentioned in the introductory chapter, the harvest and analysis of published experimental degradation data from bioresorbable composites is one of the main objectives of this thesis. Therefore, a majority of the literature on biocomposite degradation is presented in the following chapters and to avoid repetition, only introductory literature is included here.